A pork tenderloin rub made with cinnamon, garlic, coconut sugar, and Sweet Nutcracker black tea! 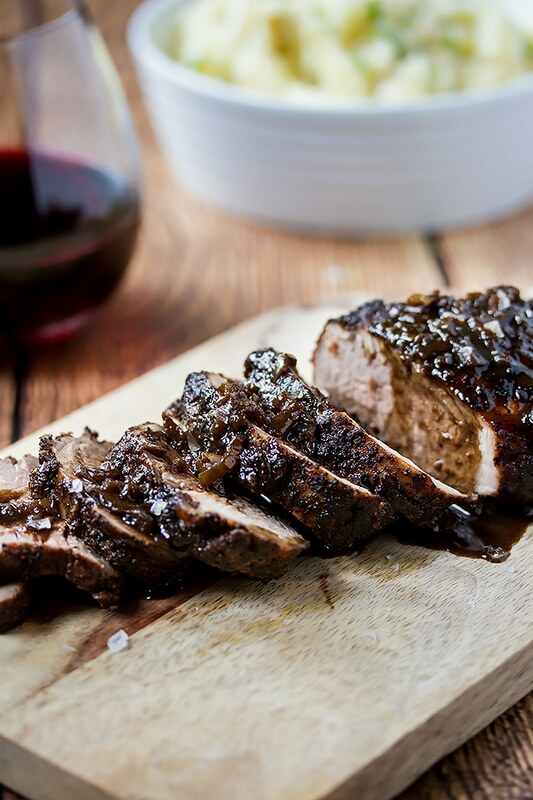 It’s incredibly flavorful and makes a juicy pork tenderloin that’s finished with a tea and shallot sauce. This post is sponsored by Celestial Tea. All opinions are always our own. You are having people over and you don’t know what to make, you want it to be easy, quick, and of course, delicious! Pork tenderloin is your solution. Debbie and I would have never thought that tea would make a great pork tenderloin rub or sauce. But surprise! It does! It’s wonderful actually! And creates an incredible flavor that neither of us had ever had before. We made this pork tenderloin rub with tea for a small dinner and EVERYONE commented on how juicy and flavorful the pork was. 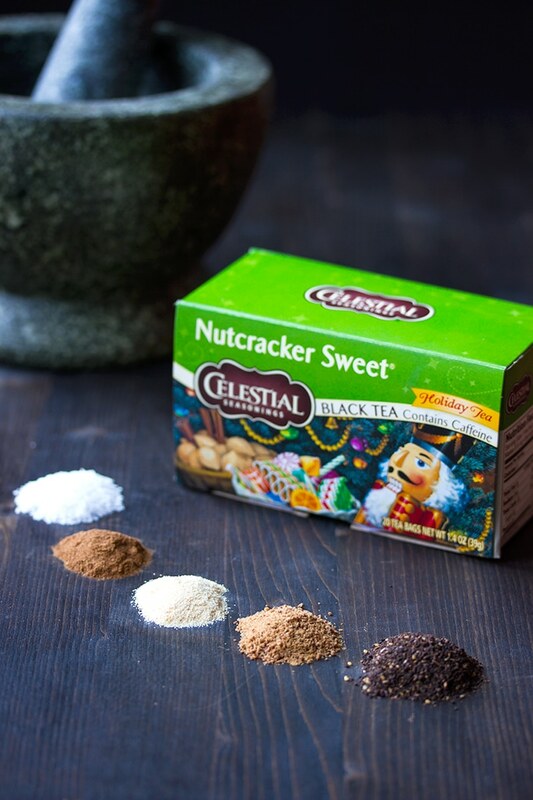 We used Nutcracker Sweet tea from Celestial Seasonings. Its smooth with a nutty vanilla flavor and a touch of cinnamon. Its a beautiful fragrant tea that’s perfect for the holidays! Marinate the meat in advance. The longer the better. Overnight is great! Brown the meat in a hot pan on all sides before roasting. Use a heavy pan or cast iron if you have one. This one is fantastic and beautiful! So is this one, and its a little cheaper. Always use a meat thermometer while you are roasting the meat. We used to use one like this but now we have this one that connects to your iphone and its pretty sweet! Let the meat rest (covered) for 10 mins after taking it out of the oven and before you slice it. Number 3 is the most important. Tenderloin is easy to overcook because it cooks quickly and because it’s such a lean piece of meat. 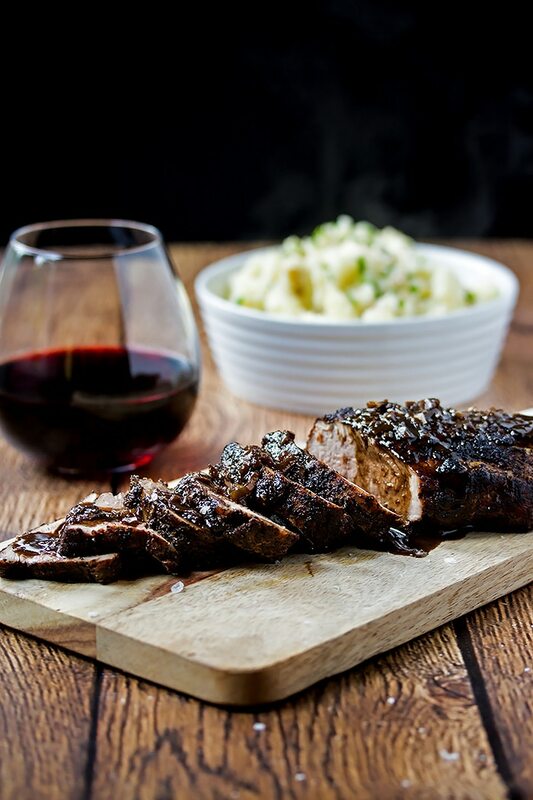 The perfect temperature to remove the meat from the oven is 141 F – 143 F. Remove the meat from the pan and place it on another plate (not the serving plate), cover it with foil or a lid and let it rest for 5 – 10 mins. The internal temperature will rise a bit while resting to bring it to 145 F which is the perfect temperature. After the meat rests, slice it, and transfer it to a serving platter. You don’t want to let it rest or slice it on what you are using to serve it because the juices will run all over it and that won’t look nice. You obviously want it to look pretty! Make your gravy is while the meat is resting. Don’t be worried about the gravy! It’s easy too! Once you take the meat out of the pan, you just throw the pan back on the stove, crank up the heat, add your shallots and garlic. While those cook, scrape up all the bits that are on the bottom of the pan (those parts have tons of flavor! ), then add the liquids and seasonings and finally the butter that will make the sauce nice and silky. Then all you have to do, is cook the sauce until it reduces slightly and gets just a little thicker. Piece of cake! We suggest making your Nutcracker Sweet tea for the gravy before hand so you have it ready to go. 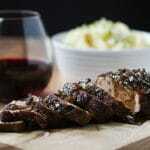 You will want to marinate the pork tenderloin the night before, which literally takes minutes. Then when your ready to cook it, you can brown your meat and start roasting it in the oven right before your guests arrive so you are free to greet your guests and have a cocktail while the meat is roasting. Then you will only need to be in the kitchen preparing the gravy for 10 to 15 mins while the meat rests and you dish up your sides. 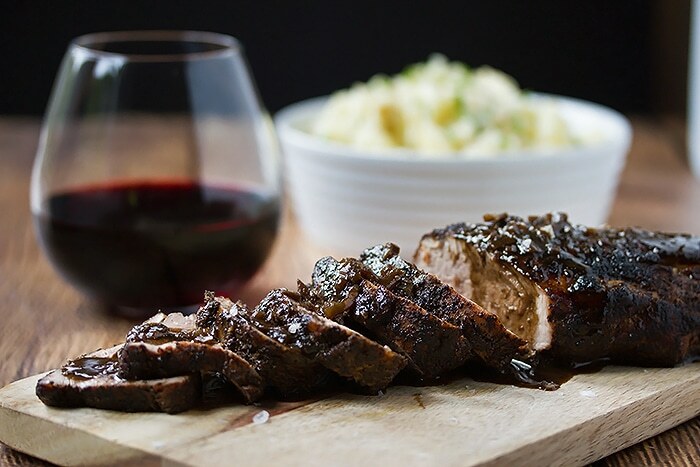 If you are pressed for time or you don’t want to be cooking up a storm all evening, serve this pork tenderloin rub with mashed potatoes and veggies that are either roasted or steamed. Mashed potatoes can easily be made ahead of time and kept warm in a pot or warmed up. Roasted or steamed veggies are not labour intensive at all and you can have them totally ready to go and then just pop them in the oven with the roast or turn on the stove if your steaming them. Toss them in a little butter and salt afterwards, or sprinkle them with parmesan, and your done. A pork tenderloin rub made with cinnamon, garlic, coconut sugar, and Sweet Nutcracker black tea! 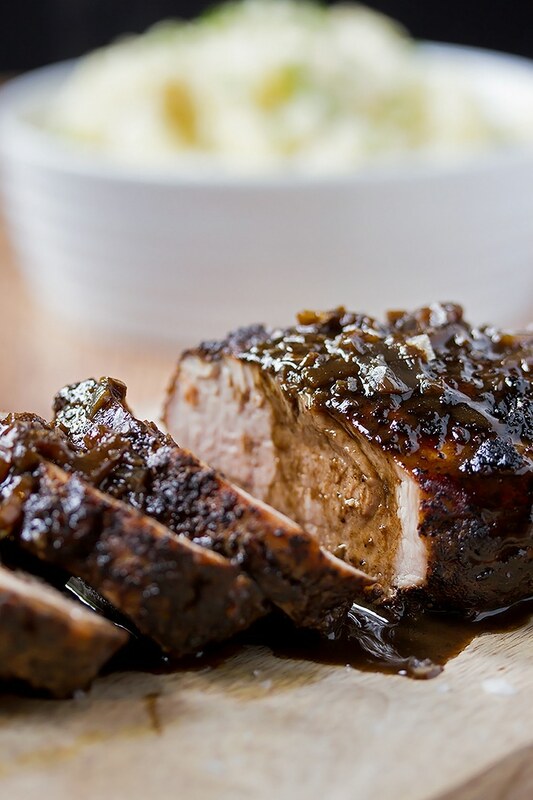 It's incredibly flavorful and makes a juicy pork tenderloin that's finished with a tea and shallot sauce. Open the three Nutcracker Sweet tea bags and empty into a mortar and pestal or a grinder. Add the rest of the ingredients and grind them all together until the mixture is well mixed and powdery. Rub the mixture all over the pork tenderloin till its covered completely. Cover the pork and place it in the fridge until you are ready to cook it. When you are ready to cook the tenderloin, take it out of the fridge about 45 mins before you want to cook it so it can come to room temperature. Close to the end of the 45 mins, turn your oven on and preheat to 350 F.
Heat your cast iron pan or heavy skillet to med-high heat. Add the oil to the pan and when it is nice and hot, add the pork and cook, turning over every few mins, until the tenderloin is nicely browned on all sides. Then put your meat thermometer in the thickest part of the meat and throw it in the oven. While the pork is cooking, make the tea for the sauce and get all the other ingredients ready for the sauce if you havent already. When the internal temperature of the meat reaches 143 F, remove the meat from the oven and the cast iron pan and place on a plate or tray and cover with foil or a lid. Set aside. Leave any juices in the cooking pan. Place your pan back on the stove and turn the heat to medium. Add the shallots and garlic and cook those for a couple mins. Then add the tea, balsamic vinegar, sugar, salt, and pepper and stir for a few mins while it simmers, scraping any bits off the bottom of the pan. When the sauce has reduced slightly and has simmered for a few mins, add the knob of butter. Start with 1 tbsp and let it melt. Taste it and if its good, you are done. If you think it could use a little more silkiness add a little more at a time until it tastes good. When your happy with the sauce. 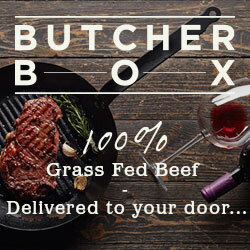 Unveil the tenderloin and place it on a cutting board. (You could add any juices from the tenderloin back into your sauce and give it a stir) Slice it in 1/2 inch - 1 inch pieces and transfer to your serving platter. Pour the sauce over and serve!